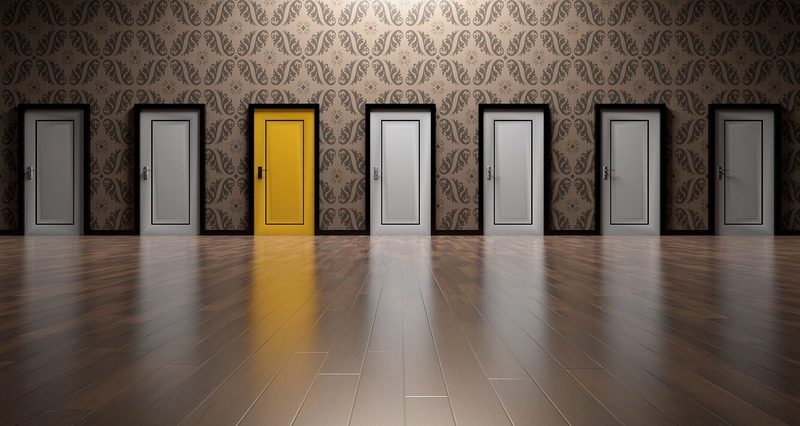 So many choices – but does it matter? This weekly series of posts follows my writing journey as I prepare to independently release by debut novel, Safe Hands – a Crime story about an aging safe cracker called out of retirement for the sake of his dying wife and a son that hates his guts. It’s set for release in June 2018 and you can find out more here. As I inch towards the release of my book, I need to think about my brand and who I think my writing will appeal to. Yes, I’m not too keen on the ‘B Word’ either, but if I want to gain readers and get my work out into the world, I’ll have to get a lot cosier with it. At the moment, the tag line for this website is ‘Crime Fiction, Blogs and More’, which is pretty accurate, but the truth is, I write across multiple genres. I have another completed first draft that I guess you could describe as a comic urban fantasy – think ‘poor man’s Douglas Adams’, and you’re getting close – as well as loads of short stories that cover everything from Horror to Comedy to a crime story about a bank robbing robot. So whilst I’m already outlining the follow-up to my current crime novel – and a short story prequel – do I run the risk of annoying potential readers if, in a couple of books’ time, I bring out an urban fantasy? Or am I just fretting about nothing when the whole thing can be solved by just losing the Crime Fiction bit and describing myself as a writer? It doesn’t seem to matter for other authors I admire, like Chuck Wendig who just puts himself out there as a genre writer. His brand is more about his attitude and voice, across genres as diverse as Young Adult, Urban Fantasy and Tech Thrillers. I recently read the excellent ‘Write. Publish. Repeat’ book by Sean Platts and Jonny B. Truant. They discuss genre quite a bit and also write across many different genres, from Fantasy Western to Political Science Fiction. For Sean and Jonny, it’s about building a loyal following of like-minded people who are fans of their writing style and are always excited to see where they go next. They also don’t spend valuable time worrying about it. They keep writing, following their passion and excitement for each project. It means they have a huge body of work and there’s usually something in their canon that fans of Genre Writing will latch on to. Get on with it – WRITE! It’s a little like the writing process in general: You can’t edit a blank page. I’m talking about a body of work that, as far as any of you are concerned, doesn’t exist yet. I can’t find an audience of any description unless I put myself out there and start sharing my work, whether that’s a dark Urban Fantasy story or an Ealing Comedy-style tale about a bingo-calling robot trying to kill a kind old lady (yes, I had an obsession with lo-fi robots for a couple of months!). What are your thoughts on genre and how writers brand themselves? Would it bother you if you signed up for my mailing list and I sent you a free short comedy story about a robot, rather than a gritty crime tale? Maybe you’re a multi-genre author yourself and have some advice for me? Or perhaps you already read across a wide range of genres and are just looking for ‘good stories’? Let me know in the comments. I’m away to write a Science-Fiction-Horror-Comedy . . .
← Novel Writing – Writing is Rewriting! It may be, ‘write about what you know’ and you’ll find your identity. There’s usually a genre or theme which keeps bubbling up in a writer’s work and they feel comfortable working with it. I always ask the first question about an idea for a novel ‘what shelf is it going to sit on?’ After you’ve put the novel on the appropriate one, I guess it depends then on how the sales go. If there’s plenty of folks buying; they’ll want more of the same genre and style. If things are fairly static after a couple of punts on novels, you could shift to something else. That’s where a writer’s preferred leaning towards a certain style or plotline in a different genre might come into its own. Whichever direction things go, I think its always a battle. Thanks Keith. I prefer not to get too hung up about ‘what shelf is it going to sit on?’ until after I’ve finished it – or at least the first draft. Otherwise I find myself trying to ‘second-guess’ myself instead of following the story and staying true to the characters. I think writing Fiction based on where you think the market is going is always going to be difficult – at least for me, anyway, as it just kills my creativity. Non-Fiction, on the other hand, should always have a clear focus and market in mind. As a writer, I’m not as bothered about genre from a selling point of view, as what I used to be – I can think of a few authors who write across the genres. Some change their names, some don’t bother, I’m not going to let it worry me. It’s how the book is marketed, and finding the right audience that will drive the sales. As a reader I didn’t enjoy JK Rowling’s Harry Potter books, however, I think her crime fiction is fantastic! I love her character Cormoran Strike, and get why she uses the pseudonym Robert Gailbraith, as I can see how she wanted to get totally unvarnished feedback in a different genre. If she brings out another wizard book I won’t read it, but I can’t wait for the next detective book. Readers will buy what they love to read, and won’t care if you’re writing in other genres.